Dr. Gregory Sanders, professor and coordinator of music theory in the music department has been named Texas A&M University-Kingsville’s 16th Regents Professor. The Texas A&M University System Board of Regents recently designated 12 faculty members and 10 agency service, extension or research professionals within the A&M System as Regents Professors and Regents Fellows for 2016-2017. “It is a great honor to receive the A&M System Regents Professor Award,” Sanders said. “I consider this a highlight of my 37 years of teaching. I would like to thank the people who nominated me and my present and former colleagues and students that provided letters of support to my application. Texas A&M University System Chancellor John Sharp said the new Regents Professors and Regents Fellows have proven their commitment to The System’s success. Sanders joined the music department at Texas A&M-Kingsville in 1991. 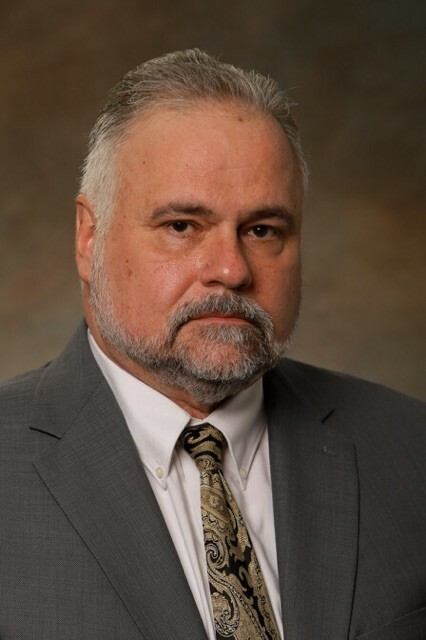 He has received the Presidential Award for Excellence in Research and Scholarship and was selected as a recipient for the Top 5%-Texas A&M University System Chancellors Award for Teaching Excellence. He is president and founding member of the university’s Phi Kappa Phi National Honors Fraternity and a founder and member of the Kingsville Symphony Advisory Board. Prior to working at Texas A&M-Kingsville, Sanders was an assistant professor of music at Bradley University in Peoria, Illinois. Sanders received his bachelor’s degree in music, theory and composition from Arkansas State University; his master’s degree in music composition from North Texas State University; and his doctorate in musical arts, composition from University of North Texas. He has performed many times including at the College Band Director’s National Association Conference, the MidWest International and Orchestra Clinic, the Indianapolis Symphony Orchestra, the Metropolitan Wind Symphony, the National Culture Center in Jamaica and the U.S. Air Force Brass Quartet. Sanders has composed numerous musical pieces for wind ensemble, orchestra, choir, chamber music and multimedia including Running Horses, commissioned by the Texas A&M University-Kingsville Foundation; and Bright Spirit Fanfare for the Texas A&M-Kingsville Trombone Choir. The Board established the Regents Professor Awards program in 1996 and the Regents Fellow Service Awards program in 1998 to recognize employees who have made exemplary contributions to their university or agency and to the people of Texas. The selection process for the awards begins with a call for nominations from the Chancellor, after which an internal selection committee is formed within each institution or agency. Final nominations are put forth to the chief executive officer of each respective entity. They are then subject to a System-level review consisting of academic vice chancellors and past recipients of the awards. Finally, nominations are forwarded to the chancellor and the board for final approval. To date, 224 Texas A&M System faculty members have been recognized with the Regents Professor Award and 135 agency professionals have received the Regents Fellow Service Award. The Texas A&M University System is one of the largest systems of higher education in the nation, with a budget of $4.2 billion. Through a statewide network of 11 universities and seven state agencies, the Texas A&M System educates more than 140,000 students and makes more than 22 million additional educational contacts through service and outreach programs each year. System-wide, research and development expenditures exceeded $946 million in FY 2015 and helped drive the state’s economy.